Nice holiday home in the Apennines, set near Badia Tedalda (8 km), in the borderland regions of Tuscany, Emilia Romagna and Marche. Simple, rustic furnishings. Nice holiday home in the Apennines, set near Badia Tedalda (8 km), in the borderland regions of Tuscany, Emilia Romagna and Marche. Simple, rustic furnishings, central living room with fireplace and access to the terrace. A large plot with barbecue, small above ground pool (available from 1/6 to 30/9) and outdoor shower is available for the guests. The owner occasionally lives in a below lying separate apartment. 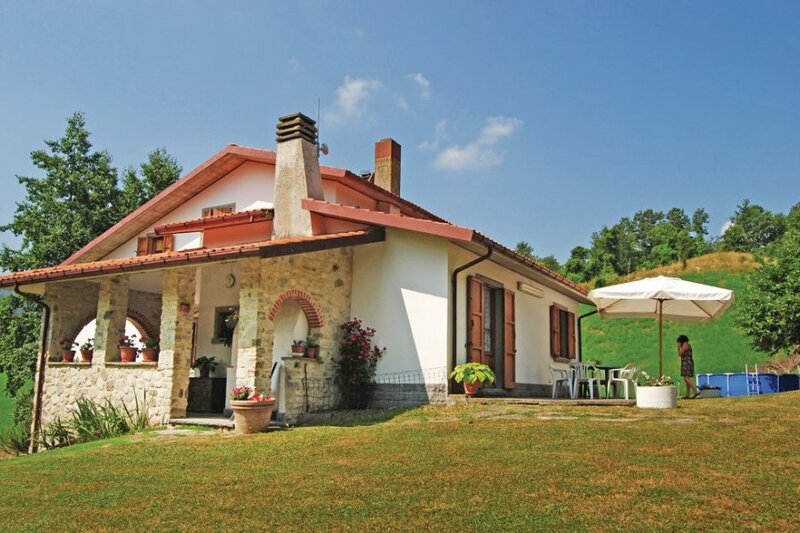 Set at 880 m a.s.l., this accommodation is perfect for relaxing on site, but also for trekking and biking in the Natural Park of Sasso di Simone or in the Casentino. Do not miss to visit the Franciscan monastery of La Verna (33 km) or the smallest republic in the world: San Marino (50km); The beach at Rimini is 70 km away. This villa is made from brick or stone and was originally built in 1985 and refurbished in 2010. The agent has rated it as a three star property so it is a well-kept villa, equipped with standard furniture. It is also good value for money. This villa has a swimming pool; it is also only 8km from Badia Tedalda. It is set in a good location: there is a restaurant 3km away.